Maintaining the original premise of martial arts, our traditional karate program focuses on self defense and improvement of mind, body & spirit. Through historical research and understanding of modern training and science, our progressive Karate program works to improve each students understanding of their own bodies strengths and how to best use their strengths to defend themselves. SELF-DEFENSE – Train to protect yourself and your loved ones using practical self defense techniques against a variety of situations. Defend yourself against multiple attackers, weapons, standing or on the ground. Prepare yourself now to fight back if you should ever have to! MIND-BODY AWARENESS – Our Karate program works to develop coordination and cultivate an awareness between your mind and your body. You don’t have to be coordinated to start with, our program works to develop and improve coordination. Become more aware of your own body and develop the strength that is already inside each and every one of us. IMPROVE HEALTH – Challenge yourself to improve your heath while at the same time learning traditional karate, self defense & having a lot of fun. Keep yourself active and engaged in your own fitness. When you train in our traditional martial arts classes, it doesn’t feel like a workout, you won’t have to force yourself to go to the gym. Our MartialFit Training Program is incorporated into every class, giving you a dynamic workout along with the exciting lessons of the day! Go for the incredible martial arts class and get a great workout at the same time! NO EXPERIENCE NECESSARY! We have had great success teaching to all levels of fitness and ability. Our professional instructors are patient and encouraging to help bring out the best in every student whether they are a beginner or an advanced student. Why not give us a call and take advantage of our FREE TRIAL? There are new students starting all the time, you can be one of them. We are proud to be able to say that Kime Karate is rated as having some of the best martial arts instructors in Rochester based on Reputation, Credibility, Experience, Availability and Professionalism. Great things to have in a martial arts school, wouldn’t you say? 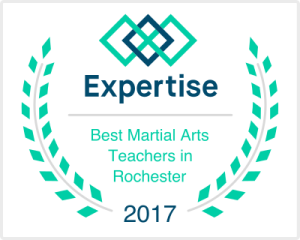 We are the ONLY martial arts school in Fairport to make the list. Learn more.. The best way to see for yourself if this class is for you is to try a class! When you are ready to get started, there’s no down-payment you just come in and start taking classes! It’s that easy! Don’t wait. Get started now at the best rated martial arts school in Fairport and get a head start on reaching your goals! 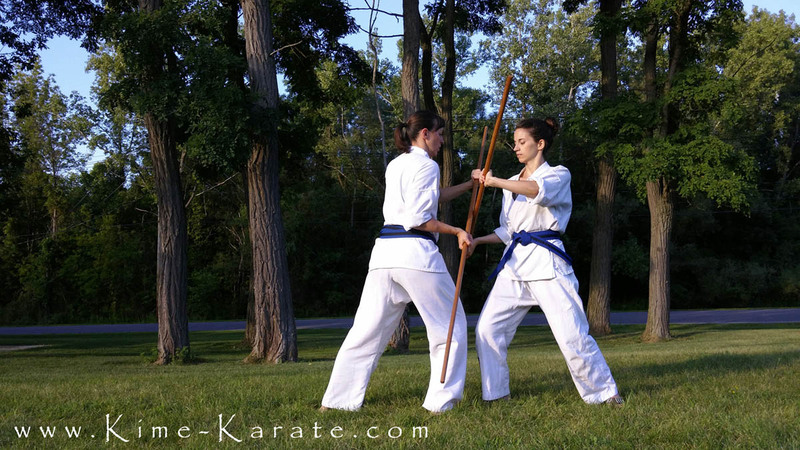 We are proud to be the only karate school in the fairport area teaching traditional martial arts! Our state of the art facility is family friendly and the safest in the industry. With classes that are so good, you have to see them to believe! Find out why we are Fairport’s school of choice! Request a FREE TRIAL today! Check out this video explanation of our martial arts system by Sensei Keyes’ instructor and Koryu Uchinadi founder, Hanshi Patrick McCarthy. Our MartialFit Training Program is integrated into every class! MartialFit is a dynamic, functional fitness program developed by Sensei Keyes over a decade ago that will improve your health and make a positive difference in your lifestyle! Improve your mobility, strength, range of motion and coordination through fun, functional exercises! MartialFit is an integral part of our martial arts classes in Fairport. Get in the best shape of your life while learning self-defense in our traditional martial art program!